Your wedding is a special day and should be perfect in every aspect right down to the favors. Here is a selection of our most popular favors. Don't see what you're looking for? Contact us and we'll be sure to help you find it. Other possible favors such as truffles and fudge are great ideas to have at your place settings and can be viewed under our Valentine's Day page. 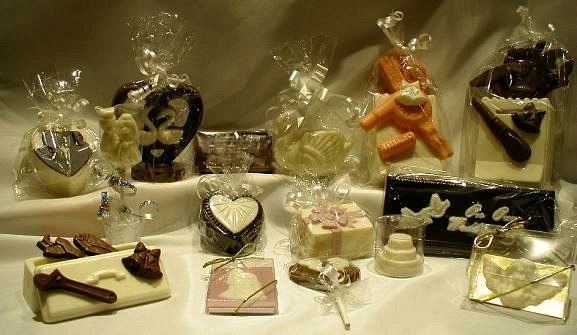 We have everything from solid chocolate swans, cherubs, assorted pops and pour boxes.